A few days ago Platinum Games recently opened an official Twitter account for Japanese fans, and have been keeping fans in suspense with a new piece of Bayonetta artwork, which people claim is a teaser for a Bayonetta Switch game. The company has tweeted two new images, and one image in question may be teasing a brand new The Wonderful 101 game for Nintendo Switch. 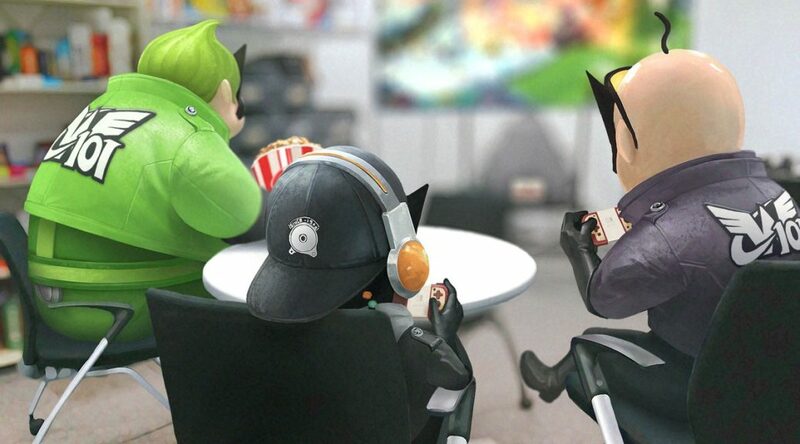 The first image features characters from The Wonderful 101 holding what seems to be Famicom themed Joy-Con while playing The Wonderful 101. Zooming in just below the TV monitor appears to be a Famicom themed Nintendo Switch Dock. If this isn’t an outright teaser for The Wonderful 101, I don’t know what else is. Let’s hope they are working on it!